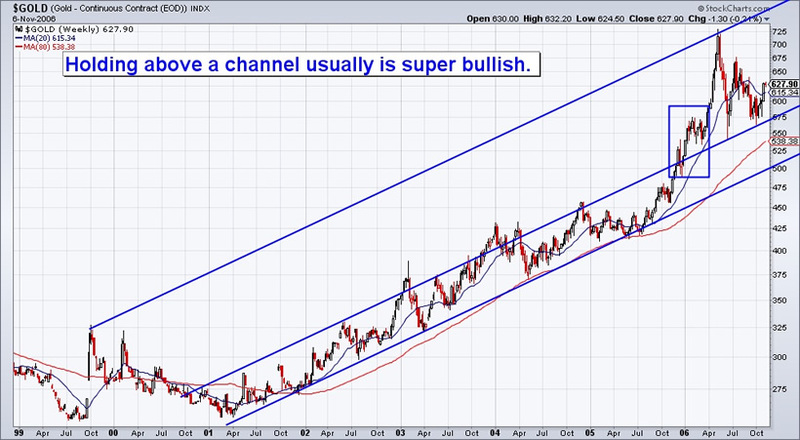 Can Gold hold the channel? What are we referring to? First, let us go back to the end of 2005. The chart shows how a parallel channel contained Gold’s move from 2001 to 2005. The first move above $500 reversed after hitting channel resistance. Yet, the market would immediately surge above the channel to $575. Then the market corrected for five weeks and two weeks later broke to a new high. For immediate sentiment and market timing purposes we track the put-call data from the International Securities Exchange. 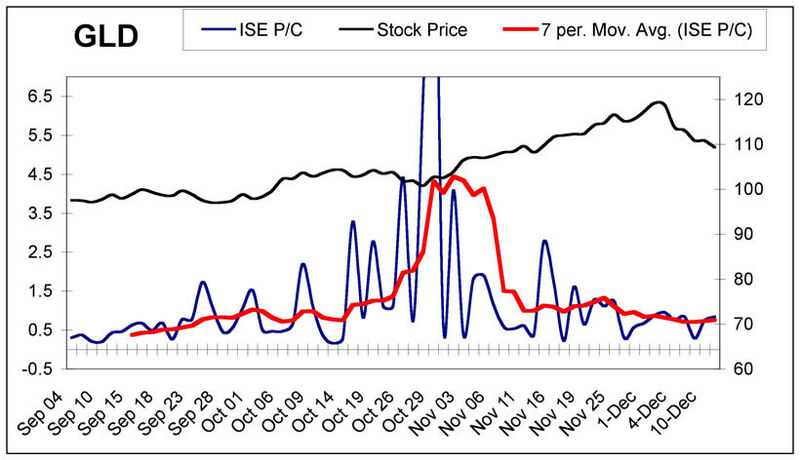 This data, as a contrary indicator has provided strong signals and helped our market timing immensely. As you can see, the put-call on GLD was rising considerably into the end of October. The day it spiked to a new high was the day after GLD’s bottom. Since then the put-call has steadily declined. 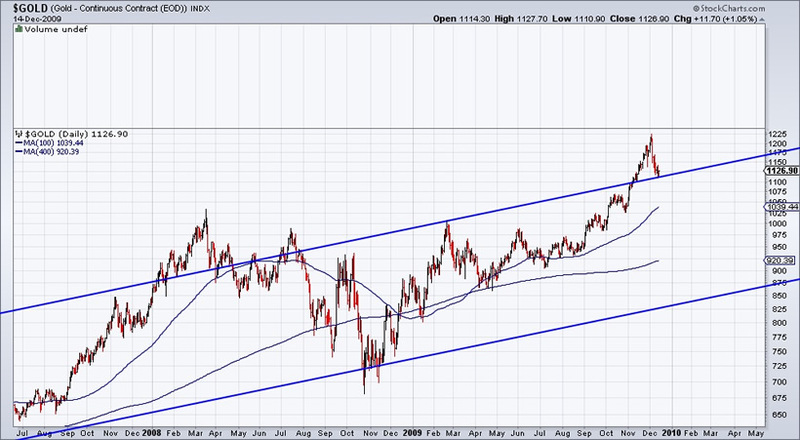 At present it looks close to increasing, but there is nothing to suggest an imminent reversal in GLD. While options analysis portends to the immediate short-term, sentiment polls portend more to the medium or intermediate term. Below is the chart of public opinion, courtesy of sentimentrader.com. During the impulsive advances in 2005-2006 and 2007-2008, public opinion spent considerable time above 80% bulls. During the recent breakout, public opinion never exceeded 75% bulls. Sentiment in the medium to intermediate term remains supportive for Gold. We suspect that after several more weeks of consolidation or weakness, the GLD put/call ratio will rise, thereby giving a bullish short-term signal. As always, we weigh sentiment along with the technicals.